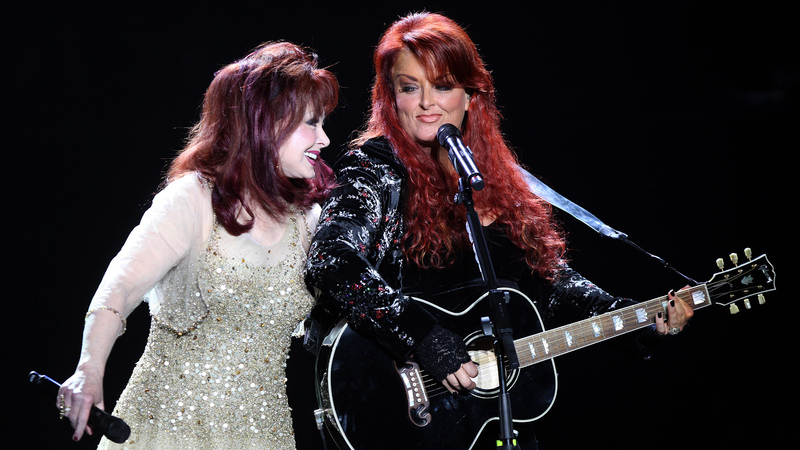 Almost 2 months on the road, 27 concerts, 2 hours each one – one of a kind such a country music concert tour, it must be The Judds! But let’s get straight to the point. We embarked on the tour in June 15 giving a concert in New Orleans. According to what we had announced a few months before, we performed both – the oldest hits as well as new material. 19th of June we have given one of the last few concerts in LA. We started singing “Mama, He’s crazy” and the whole crowd was singing with us – such moments we love the most. It moved us so much that the whole gig lasted almost 3 hours! The public was the best, all the people knew every single word of our songs so don’t know who had more fun, we or the crowd. One thing is certain – all of us had a really great time. After so many years of inaction, we were terribly happy having a chance to meet our fans, sing with you guys, give you a good time and feel this amazing atmosphere again. Incredible how happy does performing give us. Probably only people who truly love what they do are able to understand. The tour turned out to be a huge success but it is thanks to you our fans who believe in us, who give us the power to sing, perform and to share our positive energy with you. Obviously, there has been no lack of such hits like Rockin’ With the Rhythm of the Radio, Love is Alive, Grandpa, Love Can Build a Bridge, Why Not Me, Had a Dream, Turn It Loose, Young Love, Mama He’s Crazy, Girls night Out, Have Mercy, I Know Where I’m Going and many many others. What we would like to do now is to thank you for the support we’ve been given. As long as our fans want to listen to our music, we have a reason to sing. You are our fuel. Hope to see you soon guys! Remember that now you can watch us every Saturday evening at The Grand Casino Hotel in Las Vegas. See you soon! Don’t slow down! You are amazing, I think all mothers and daughters would love to have relation like this!